SEATTLE, January 10, 2018 – ODG, the leader in return to work and occupational health treatment guidelines, and Peers Health are proud to announce an extension of their multi-year partnership. In addition to providing technology and sales support, Peers will now supply ODG with new data it collects from industry participants and, through a data-sharing agreement, develop its own proprietary products applying advanced technologies in machine learning and artificial intelligence. Peers and ODG share the view that while individual industry providers, such as insurance carriers, third-party administrators, and health systems, will benefit from internal data analytics efforts, the most powerful advances will arise from the publishing industry, where the goal is to aggregate and synthesize content from all sources and release commercial products that can serve a broad spectrum of industry participants. 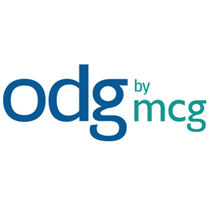 ODG, an MCG Health company, (www.mcg.com/odg) provides unbiased, evidence-based guidelines that unite payers, providers and employers in the effort to confidently and effectively return employees to health. The clinical guidelines and analytical tools within ODG are designed to improve and benchmark return-to-work performance, facilitate quality care while limiting inappropriate utilization, assess claim risk for interventional triage, and set reserves based on industry data. MCG, part of the Hearst Health network, helps healthcare organizations implement informed care strategies that proactively and efficiently move people toward health. MCG’s transparent assessment of the latest research and scholarly articles, along with our own data analysis, gives patients, providers and payers the vetted information they need to feel confident in every care decision, in every moment. For more information visit www.mcg.com or follow our Twitter handle at @MCG_Health.